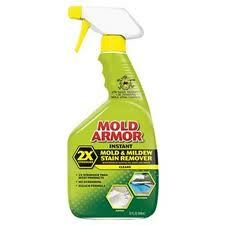 Mold Armor products are 100% dedicated to fighting mold and is guaranteed effective. Use both indoors and outdoors. Great for use on tiles, Grout, Tubs, Shower doors, Concrete, Brick, Wood, Plastic, Fiberglass, Vinyl, Garbage cans, Outdoor furniture and more! 2X Stronger than most products!